Homeowner: Water Line pipes and repairs between between the home and the water meter. City: Water line between the water meter and water main. Homeowner: Sewer Line pipes and repairs between the home and the main sewer line. City: Sewer main line in street. May be different for homeowners in an HOA or on private roads. 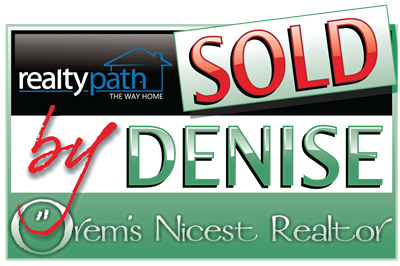 Contact Denise Martin to Buy or Sell a Utah County Property.